When the PlayStation 3 was originally launched Sony ran into a patent infringement with the rumble feature in their new controller. 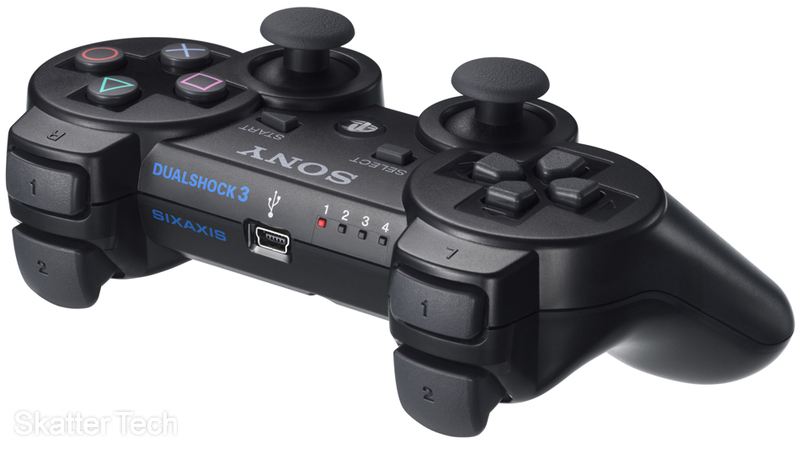 So instead of naming it the Dual Shock 3, which would be logical since it would have been a wireless version of the Dual Shock 2 for the PlayStation 2, they ended up naming the non-vibrating controller the SIXAXIS. When the patent issues were all settled by mid-2007, however the first Dual Shock 3 controller didn’t hit the market in Japan until November 2007. North America and Europe have an official launch date of April 15, 2008 at a MSRP of $54.99. As always retailers are already taking in pre-orders for the controllers and Amazon seems to have a pretty darn good deal. Amazon is charging $49.99 for the Dual Shock 3 with free (super saver) shipping and no tax. In addition if you are worried the the price might drop, Amazon guarantees to offer you the lowest price it reaches between the time you place your order and the launch date. It’s a fairly good deal considering that the SIXAXIS Wireless Controller still runs at around $40-45. In addition you won’t have to wait for most games to become rumble-compatible. Over a hundred titles including best sellers such as Uncharted: Drake’s Fortune, Ratchet & Clank Future: Tools of Destruction, and Metal Gear Solid 4: Guns of the Patriots already fully support it, while other titles should get patches.